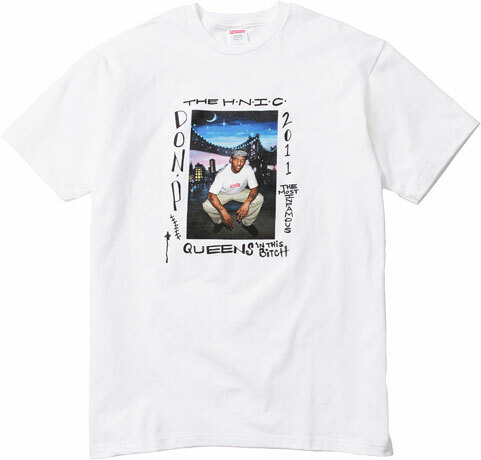 If you follow Prodigy of Mobb Deep on Twitter - you knew that this year's annual Supreme Celeb Photo shirt was featuring none other than him. I couldn't help but laugh out loud at them re-creating the classic "kneeling prison-Polaroid shot" - complete with writing on the makeshift frame. Hilarious. Welcome home, P. Purchase June 9th at Supreme.